Roland Barthes was one of the most influential thinkers of the twentieth century, but why should the reader of today, or tomorrow, be concerned with him? Martin McQuillan provides a fresh perspective on Barthes, addressing his political and institutional inheritance and considering his work as the origins of a critical cultural studies. 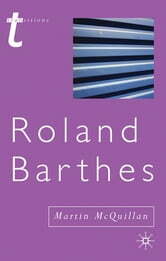 • features an annotated bibliography of Barthes' published work. 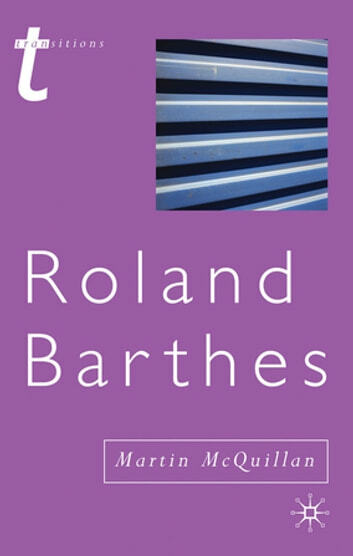 Thought-provoking and insightful, Roland Barthes is essential reading for anyone who is interested in the writings of this key theorist and his continuing relevance in our post-9/11 world.